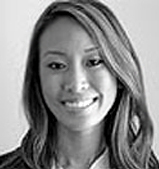 Lily is a Vice-President in the private equity fund investments group. She performs due diligence on fund investments and co-investments in the emerging markets for QS GEO. Prior to joining Quilvest in 2010, Lily was an analyst for Zephyr Management, an asset management firm where she was responsible for the execution and due diligence of direct investments in the emerging markets. Lily holds an MBA from Colombia Business School and a BS in Economics from the University of Wisconsin – Madison.